BORING! Worse than the actual 1st season. Cheesy, unrealistic, badly cast mess! The actress playing Heather Locklear looked like a teenager playing dress-up. Unattractive cast. Acting was wooden at best. This was a waste of time. 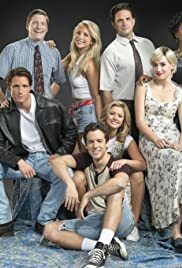 Everybody knows the Melrose Place cast got along great, and there were no behind the scenes drama. So, why even make this? It was like, NOTHING! No purpose. MP is my fave prime time soap ever. This TV movie was like a Disney Channel movie. There was never a need to make this. I would suggest you avoid this mess. Melrose Place is iconic. This TV movie is painfully boring. Watching paint dry would be more exciting.